Today in Advisory, your child will receive information regarding meeting College and Career Readiness criteria. Several tests will be administered in the Spring to determine your child's readiness. Please pay close attention to the testing dates to avoid missing these opportunities. Forms must be returned to the school by December 3 to make appropriate accommodations for our students. Thank you for your attention to this matter. 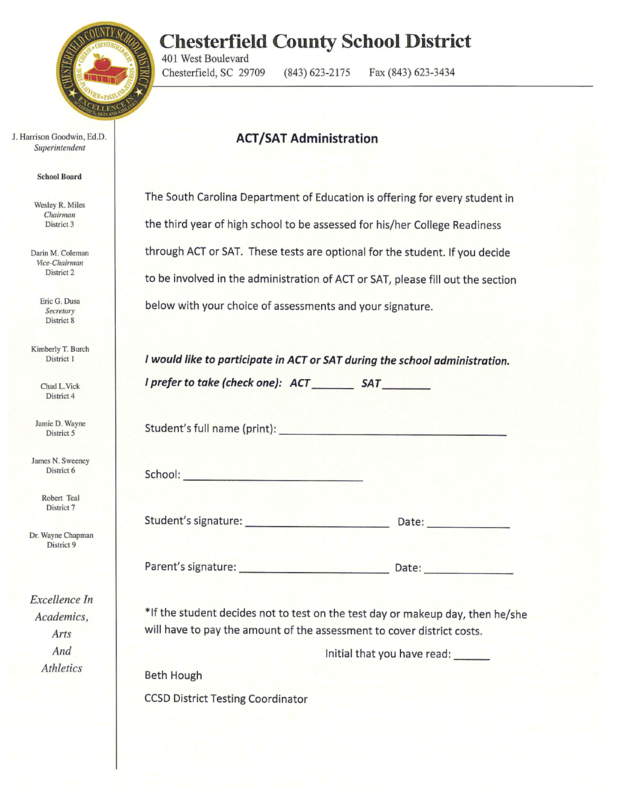 College Readiness-The state will provide funding for your child to take either the SAT or ACT. This test is not required. 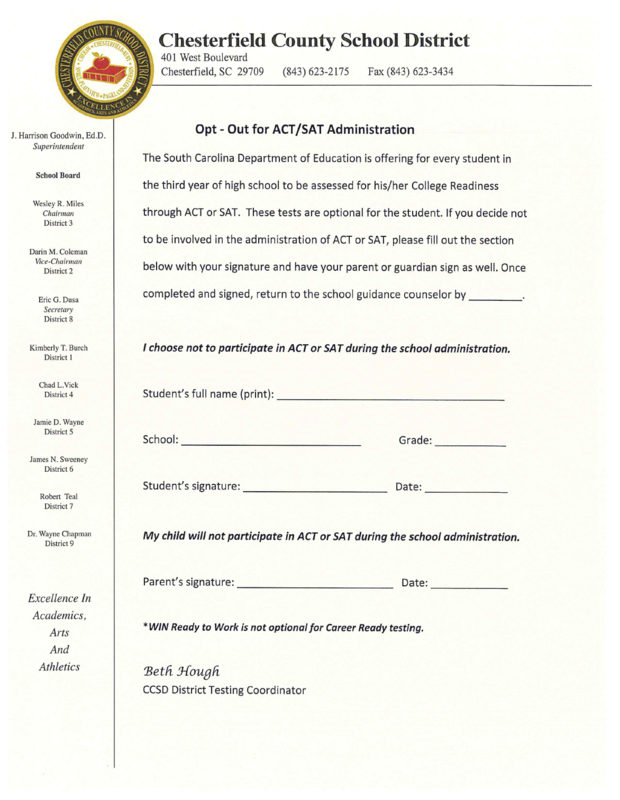 Please complete either the SAT/ACT Choice form where you select the test that you want your child to take or complete the Opt-Out form if you do not want your child to test at school on the designated days. 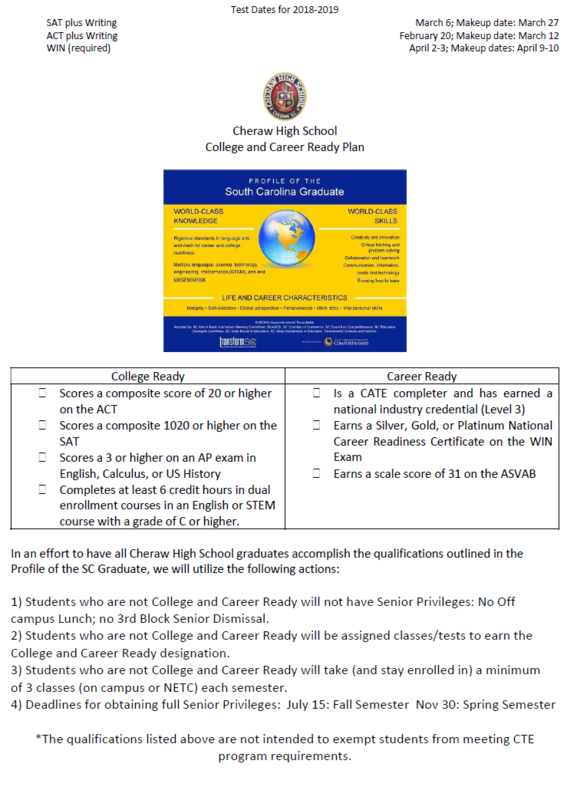 Career Readiness-All students are required to take the WIN Career Readiness Assessment.